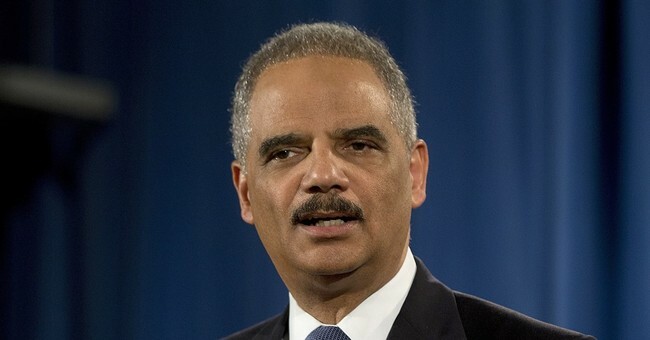 The Department of Justice announced Wednesday additional documents related to the Operation Fast and Furious scandal during the Obama administration will be released to the House Oversight Committee. The documents were previously withheld by Attorney General Eric Holder, who was voted in civil and criminal contempt of Congress for refusing to turn them over. President Obama invoked executive privilege in June 2012 to prevent their release just hours before the contempt vote was held. “The Department of Justice under my watch is committed to transparency and the rule of law. This settlement agreement is an important step to make sure that the public finally receives all the facts related to Operation Fast and Furious,” Attorney General Jeff Sessions released in a statement. During an interview with Fox and Friends Tuesday, the brother of slain Border Patrol Agent Brian Terry called on the Trump administration to reopen the investigation into the operation and to release previously withheld documents. "We need to find out the truth, exactly what happened, how it happened, why it happened. We need Mr. Trump, President Trump, to unseal the documents, reverse executive privilege so that we know what happened, and that we can hold the people accountable that are responsible," Kent Terry said. Terry was murdered by Mexican cartel rip crew members in December 2010. They were carrying guns illegally trafficked by ATF to Mexico through the Fast and Furious program. Operation Fast and Furious was a secret ATF program, overseen heavily at the highest levels at the Department of Justice, which took place between September 2009 and December 2010. ATF agents repeatedly and knowingly allowed individuals working for Mexican cartels to traffic thousands of AK-47s, .50 caliber rifles and handguns into Mexico. The operation ended in 2010 when Agent Terry was murdered and years of coverups surrounding his death and the extent of the operation ensued. Hundreds, if not thousands of Mexican citizens have been murdered as a result of the U.S. government putting guns into the hands of narco-terrorists and a number of firearms trafficked during the operation have been found at additional crime scenes in the United States.